Frank’s celebrates its 30th year in 2018 and has been setting the bar for fine dining in the area since its inception. Opened in the historic landmark of Marlow’s Super Market, the eatery has been featured in publications like Gourmet, Bon Appétit and Southern Living. With crisp white linens, professional waiters, dark moldings and hardwood floors covered with oriental rugs, Frank’s is the ideal spot to bring visitors who think the beach is only full of fried seafood joints. Comfortable and relaxing, sidle up to the antique mahogany bar for a drink before dining on menus full of a mix of flavors, from Lowcountry to Pacific Rim, always prepared to order with the freshest ingredients. Choose from the chophouse menu featuring cuts like a prime filet and a CAB New York strip with side options of baked bacon and cheddar grits casserole, parmesan truffle fries and roasted Brussels sprouts. The dining menu offers a variety of seafood, pork and chicken, like the pan-fried cornmeal encrusted grouper. Frank’s is closed on Sundays but open nightly for dinner the rest of the week. This Myrtle Beach landmark has been serving up delicious fare since 1962. Over this 50-plus-year time period, guests have enjoyed a superb dining experience with ocean views. This is the place to take your out-of-town visitors for great food and a true taste of Southern hospitality. Start with the she crab soup, creamy with a touch of sherry and filled with savory Atlantic blue crab. Seafood is the main attraction here, with mouth-watering entrees like the pecan crusted grouper topped with a citrus beurre blanc and the traditional shrimp and grits. You can also order something “From the Land” like a ribeye steak or the Southern BBQ pork chop basted with a delicious peach BBQ glaze. The hummingbird cake is the way to end a delicious meal. This Southern favorite is layers of spice cake made with pineapple, banana and pecans and iced with a cream cheese frosting. 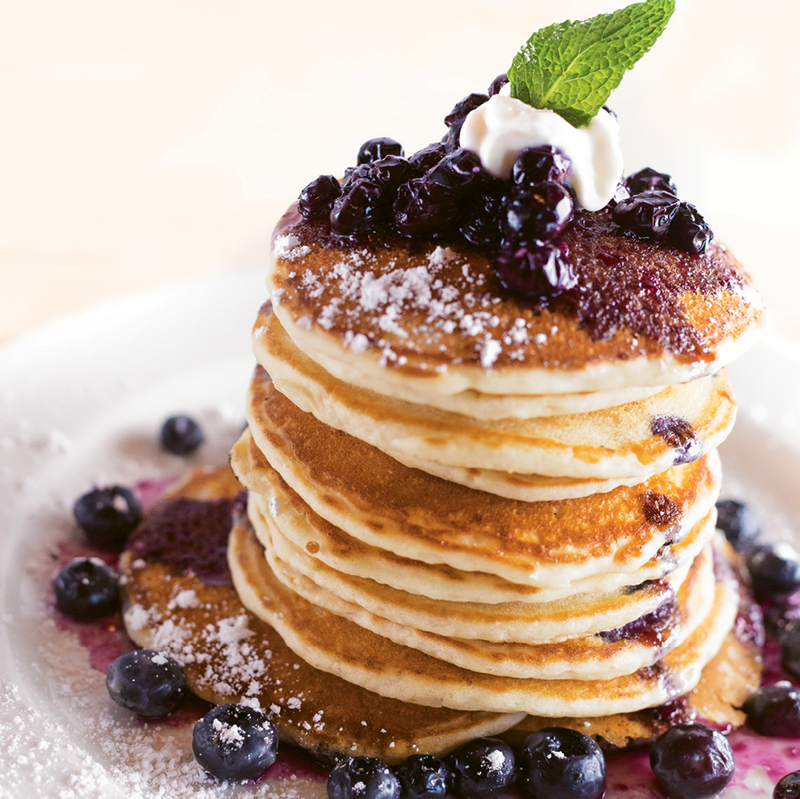 If you aren’t heading out to dinner, the daily lunch specials and hearty breakfasts are also great options. A visit to the area is truly not complete without a visit to Sea Captain’s House, which is open for breakfast, lunch and dinner daily. 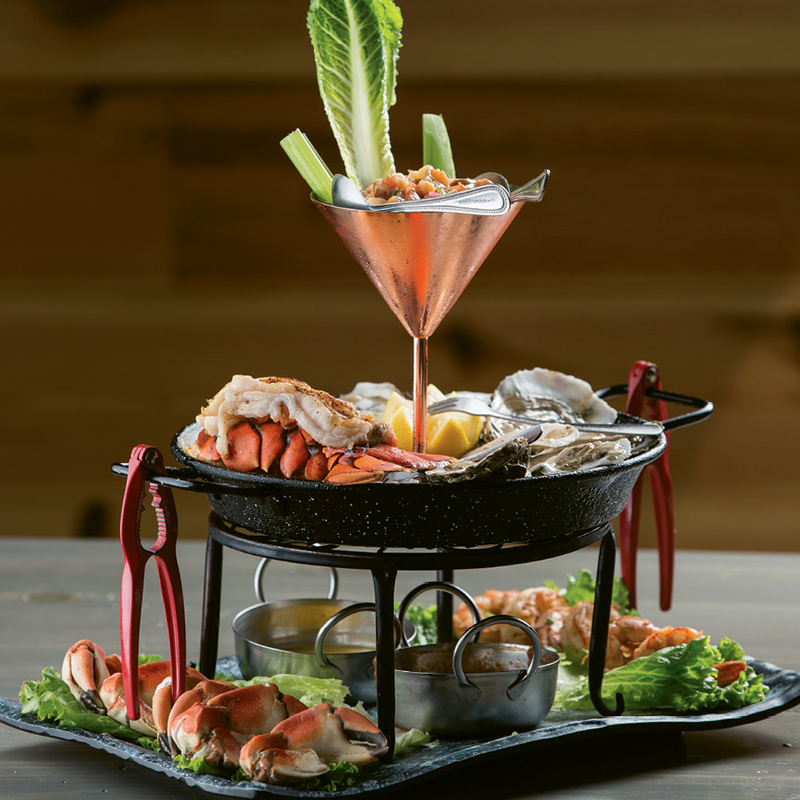 Hook & Barrel believes that seafood should be served fresh and full of flavor, something you’ll taste in each course of their dinner menu. Their take on dining provides guests with sustainable, distinctive dishes with the freshest seafood and local produce. Choose a fresh fish from the day’s offerings to have cooked your way and topped with a house-made sauce like the jicama mango salsa or the pesto cream. House specialties like the Myrtle Beach paella and pan-seared scallops are also standouts. If you aren’t a seafood fan, opt for the peach pork tenderloin or filet mignon. Indulging in a Jellyfish Martini from the beautiful bar is the perfect way to end a great meal. One nibble and your visitors will know what makes this a special spot on the Strand. 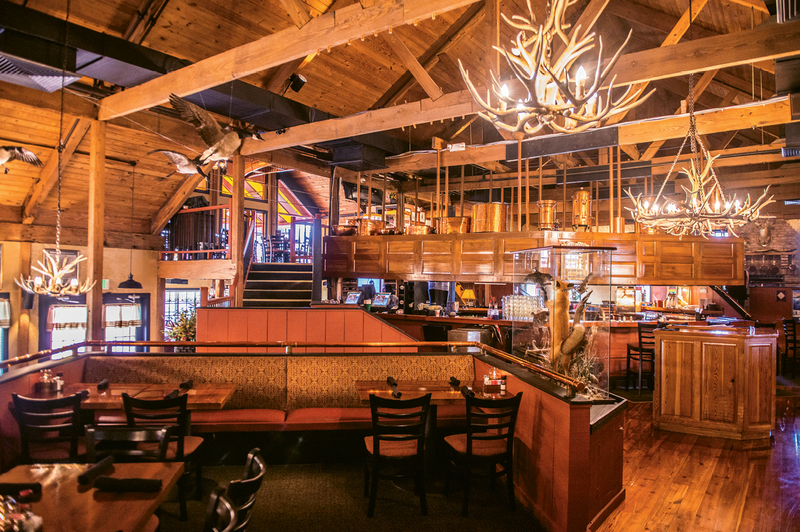 Hook & Barrel is open for dinner Monday through Saturday and on Sunday for brunch. Chuck’s has a simple mantra that is tried and true: “A thick steak and a cold beer will always be a good idea.” The restaurant will be celebrating its 40th anniversary in May 2019. With an emphasis on steak, they are also known for their prime rib, chops, BBQ ribs, lobster tails and chicken. Chuck’s features two enclosed waterfront decks, three fireplaces, a comfortable library and a view of the Intracoastal in a rustic elegant atmosphere. Happy hour in the lounge from 4 to 7 p.m. nightly is a main draw, with drink specials and snacks. The cozy atmosphere, amazing views and great food make it a hot spot for locals and a perfect spot to bring those visiting the Grand Strand. The boneless prime rib, filet and lobster tail, and teriyaki sirloin are all favorites. There are also a variety of burgers, sandwiches and a salad bar. Chuck’s is open nightly for dinner. Since they opened their doors in 1988, Angelo’s Steak & Pasta has been a favorite of locals and visitors alike. The full-service restaurant boasts “the greatest steaks in the universe,” and they, at the very least, are some of the greatest steaks on the Grand Strand. Their full menu features cooked-to-order Italian cuisine, a variety of cuts of steak and homemade favorites. There is also a menu for the “Little Italians” and an all-you-can-eat buffet full of Italian delights. Favorite dishes include steaks like the 10-ounce ribeye served on a sizzling platter with your choice of spaghetti or a baked potato and the option to add the mouth-watering bleu cheese garlic butter to an already-delicious cut of meat. Other favorites include a variety of pastas and Italian classics. Your out-of-town friends and family will forget they aren’t visiting a famed steakhouse in a big city. Angelo’s serves dinner seven nights a week and lunch on Saturdays and Sundays. Don’t miss their early bird special.